I have spent over $100,000 in the past few years developing and creating this website to help give my clients the best experience when searching for Utah Real Estate. Click Here to get a FREE relocation package and guide. Looking for Utah Home with Acreage? 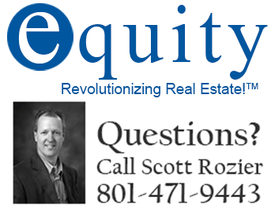 Search all homes for sale in Salt Lake County. Click on the banner to search all homes & condos for sale in Salt Lake City, West Valley, Sandy, Holladay, West Jordan, South Jordan, Draper, Cottonwood Heights and all communities in Salt Lake County. Search homes for sale in Utah County including homes for sale in Provo, Orem, American Fork, Lindon, Pleasant Grove, Mapleton, Spanish Fork, Springville and all homes and condos throughout Utah County. Our website was designed to be the only tool you will need when buying or selling Utah homes. Tired of finding outdated and unreliable information on the national sites like Zillow and Trulia? Rely on UtahRealtyGroup.com for the most accurate information available with direct access to the Utah Realtor's MLS. We know the Utah real estate market and will provide you with the expertise and professional representation required in today's challenging market. We want to make the next purchase or sale of your home a great experience and we are committed to providing you with a level of professionalism that will exceed your expectations and create a relationship for life. UtahRealtyGroup.com takes the hard work out of finding your next home. There is no need to drive every neighborhood and call on every For Sale sign. We make it SUPER EASY! Just use our Advanced Home Search Tool. Simply create a home search with your criteria, then save the search and from that point on you will be notified by email the minute a home is listed for sale that matches your criteria. You will also be notified by email of any price changes. Now that is EASY! Each property is displayed with multiple pictures, 360 street views and property details. See a property that you like? Save it to your favorites for later review. See a property you would like to view in person? Click the "Schedule a Showing" button or simply give us a call. We will strive to make the purchase of your next home fun, enjoyable and rewarding. Often times our clients know of new listings before most Realtors. Easily take advantage of this feature by clicking the Sign-Up button on the top right. Let Your Search for Utah Homes Begin! Corner lot single-family home in West Valley Square footage figures are provided as a courtesy estimate only. Buyer is advised to obtain an independent measurement.